Do you love graphic design? Would you like to earn money from your design skills? Do you spend time doodling designs? Are you critical of bad design? If so, this is the course for you. It’s your opportunity to get a career in graphic design. The graphic design industry is more exciting than it has ever been. Over the next two decades, employment will boom in large design studios, boutique design studios, and through freelance contract work. 13% growth is forecast over the next few years. Thanks for the internet, you can get known across the world for your design skills. And you can find clients through the small rectangle that's your Mac, laptop or iPad. This course is an amazing opportunity. It can release you from a dead end job, or one that doesn’t fulfil you. You can take what you learn and change career, start your own business, or hire yourself out as a freelancer. Or you might get a graphic design apprenticeship in a hipster agency. You get up late (well, you were working on a project last night). Everyone has gone to work in the rush hour. You, meanwhile, get some coffee, and look thoughtfully out of the window, in your dressing gown. You cast an eye over your emails. A new client is asking about some work. An agency is begging you to complete their assignment (hey, they only gave it to you a couple of days ago). You settle down to look at the work you did last night. Your pad is full of sketches and ideas. The floor is littered with screwed up paper. This one is challenging. Maybe you’ll go for a walk to clear your head. You put on your coat and step outside, into the fresh air. As a designer you can work in your underwear, be home, and organise your life around your family. You can take the kids to school. It’s a freedom that others will envy. Alternatively, you might choose to work for an advertising agency. Or a web design firm. You’ll work with creative colleagues, seeing big-name clients step across the threshold of the stylishly stark interior, located in a funky ex-factory. 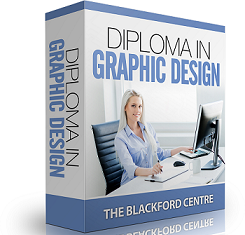 The Diploma in Graphic Design course lets you study when and where you want. You won’t be stressed about cramming for exams. We use case study-based projects instead. There are no classrooms in distance education. You learn at your convenience. And once you complete the course, you get a valuable qualification that reflects your new knowledge. This course covers everything you need to get started in graphic design. Learn about the principles of design – the fundamentals that make designs look special. Discover how to sketch (we make it easy). Find out how to market yourself. Learn how to get a job with a swanky agency. Understand how to deal with clients, and find out what they need. Grasp the history of design, and see how it evolved into today's design. Become familiar with the great names and periods of design, such as Arts and Crafts, Modernism, Bauhaus and Le Corbussier. Learn how to create a blog that gets noticed. Find out what people want to read about. Discover how to present work to clients. See how to market your services, and how to set your prices. Free software tools, templates and forms – you can get to work right away. 1. Desktop publishing software that lets you design posters, leaflets and brochures. Similar to Adobe InDesign or QuarkXPress, this software is easy to use, but avoids the heavy price tag that comes with those. Our layout software lets you create press-ready output for the printers. It woks with Linux, Mac OS X and Windows. We also include 7 video tutorials on how to use the program. 2. Vector graphics software. This software lets you create and edit simple or complex artwork, from icons and clip art to layered illustrations for children's books. Similar to Adobe Illustrator or CorelDraw, but again without the costs. It works with Mac OS X, Linux and Windows. We also include 9 video tutorials, totalling several hours of instruction. This software provides all you need to be a professional graphic designer. Sometimes talented people stay in dull jobs, because they don’t want a 'career'. They aren’t inspired by 'climbing the ladder', or working in 'management'. Is that you? If so, you owe it to yourself to see if you can make it as a graphic designer. If you have 4 years and £40,000 ($60,000) to invest, you can follow the traditional route of attending a university. But by the time you complete your studies, you’ll have to repay loans on top of the living expenses you already had. Do you have two, three or even four years to wait around before you can take command of your career options? Traditional college and university diplomas take years to earn. Plus, you have to invest £40,000 ($60,000) to attend those schools. Before you get your graphic design career underway, you’ll already be so far in debt that it could take you another ten years to pay off your student loans. So your life won’t change after you get that university degree. You’ll be trapped in another prison - a prison of debt. You’d have to put on hold the life you dreamt of, the life that a career in graphic design would bring you. You’d be looking at 12 to 16 years before you can truly live the life of your dreams and reap the benefits from your choice. You’ll find learning graphic design is fun. The course is packed with practical examples, and interesting case studies. Research shows that you're more likely to succeed using our interactive study method with tutor feedback compared to self-study or reading books. Your tutor will be a real-world graphic designers. 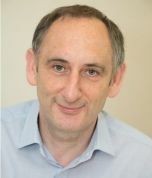 You can’t learn practical, real-world strategies from a college lecturer, someone who doesn’t have to pitch for business, or who doesn’t live in the real world of graphic design. Once you complete the course, you get a valuable Diploma that reflects your new knowledge. For 90 days after you’ve finished the course, we offer you free business mentoring. Unlike a traditional college or university, you have someone you can call on to give you advice on starting on your new journey. Thanks to the web and email, it doesn’t matter where you live. We have students in nearly every corner of the world, including the UK, US, Canada, Australia, Norway, France and Singapore. 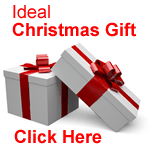 Our course is the perfect mix of books, CDs, DVDs and online course materials. The course is interesting, useful and fun. Our approach is very different than the traditional university model. But our approach has been proven to be more effective is so many ways. How many times have you dozed off or lost your place trying to read all that technical stuff in textbooks? Our materials are written in a light-hearted way, so you’ll absorb the serious information while enjoying yourself (and staying awake). It’s easier to complete your assignments and the total course if you are learning and enjoying it. Could you become a graphic designer? 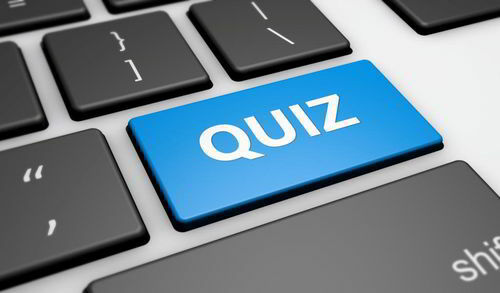 Take our free online quiz. Click here. The course is endorsed by ABC, a leading accredited body, and one that is accredited by Ofqual (see the box below). That means your qualification has real worth in the eyes of employers, business owners, and organizations. And we’ve been educating students and changing lives through knowledge since 1995. Which means you enrol with an longstanding, established college. 1. Examine the course at your leisure for 60 days. And if you for any reason it doesn't meet your needs, just let us know and we'll refund your fees. No questions asked. Why do we offer this? Simple. We don't want unhappy former students. We'd rather stay friends. And it stands to reason that no course can suit absolutely everyone who registers on it. You've nothing to risk, and everything to gain. Do you continue to stay in that dead end job or live with limited options? Or do you take control of your future and follow your dreams - to something that you’ve long wanted to do? Enrolment is only a click away. Click the link above and it will take you to the registration page. Your payment for the program is done through a secure SSL server. No one on our end ever sees your credit card number. PS. I want you to hold this moment in your mind. 10 years from now, you’ll look back at this moment – it was the instant when your life changed. It was the point when you took control and embarked on a career that gave you fulfilment and a great income.